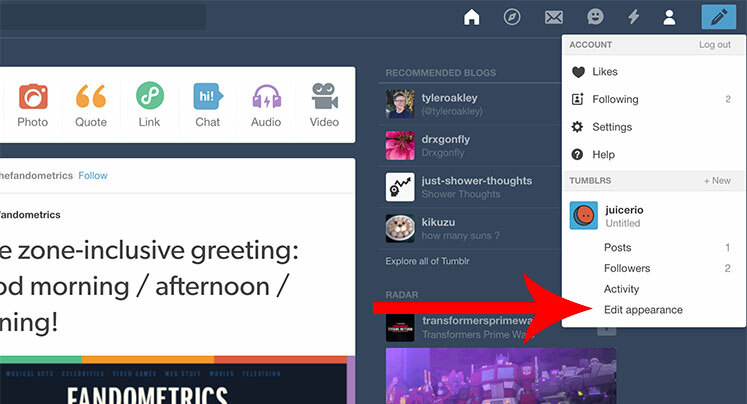 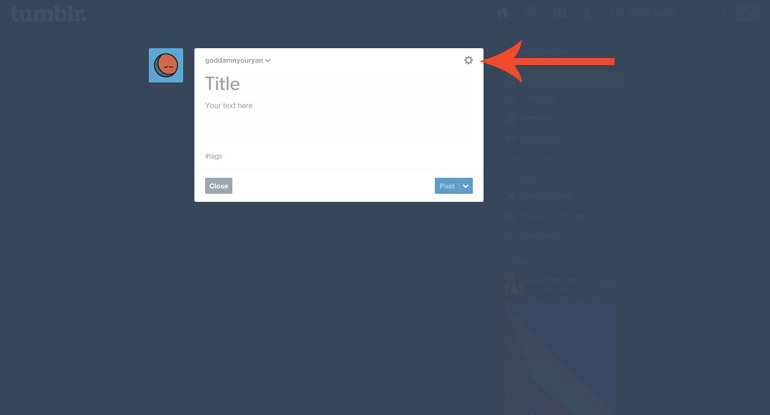 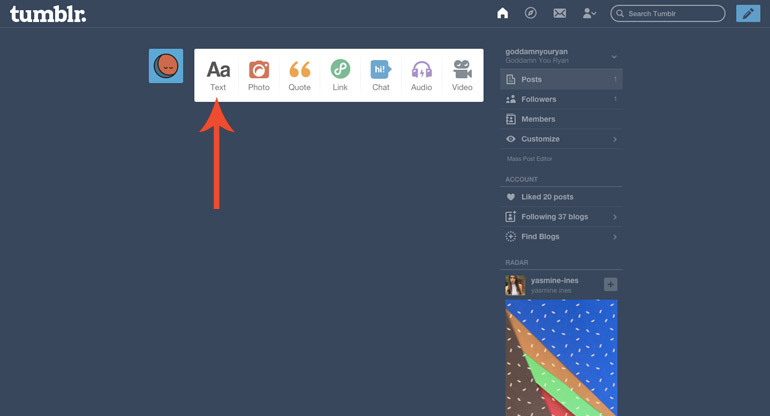 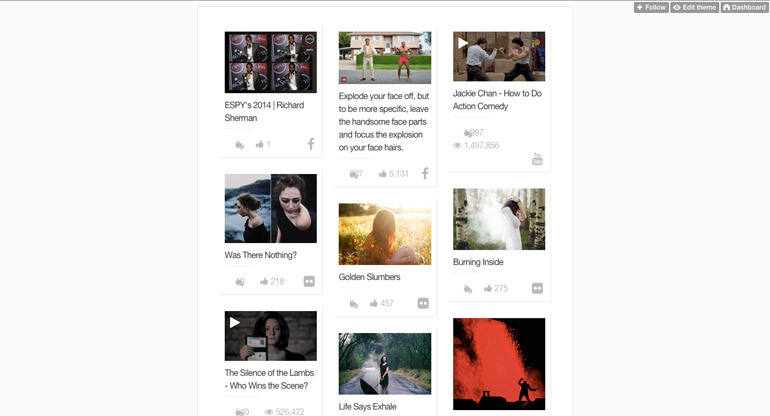 There are a couple methods for adding a Juicer social media feed to a Tumblr blog post. 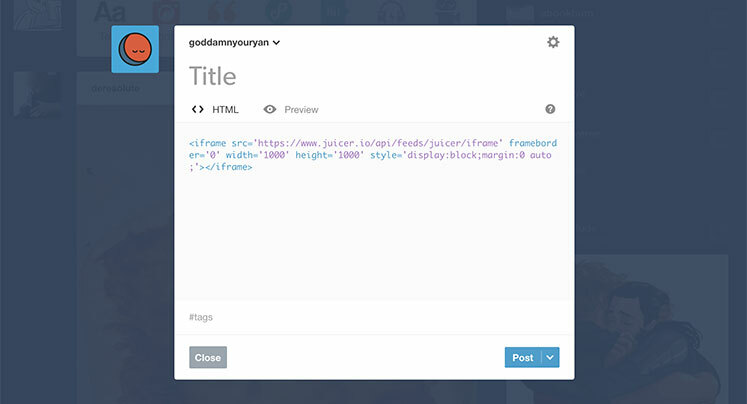 The easiest is to use the Juicer <iframe> embed. 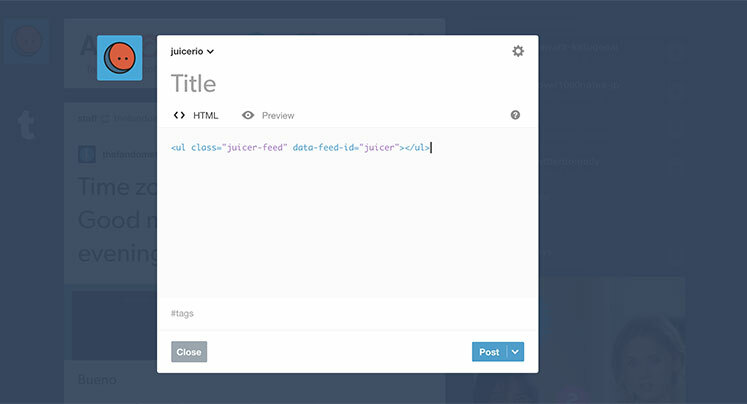 First, make sure you have signed up for Juicer. 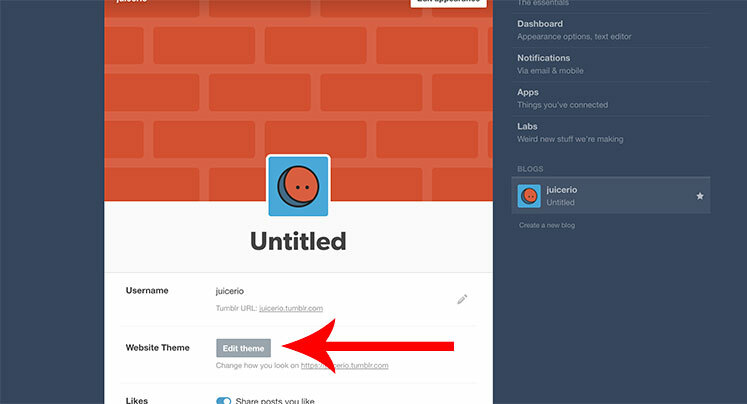 Then, visit your Tumblr dashboard and create a new "Text Post"
Click on the menu that says "Text Editor" and change it to "HTML"
The post should then contain your Juicer feed. 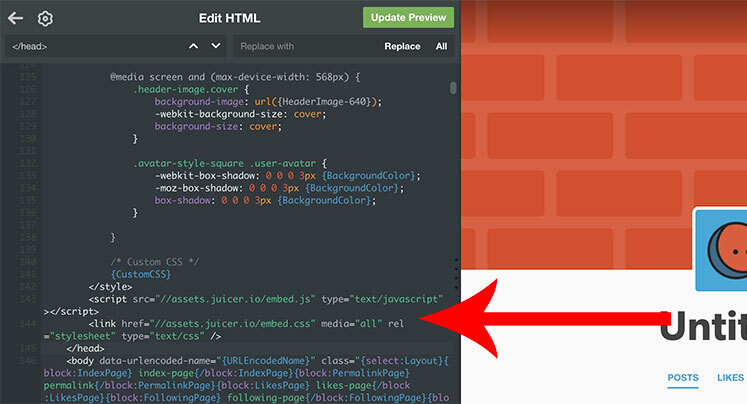 If you'd prefer to use the standard Juicer embed code instead of the iframe, it requires a few more steps. 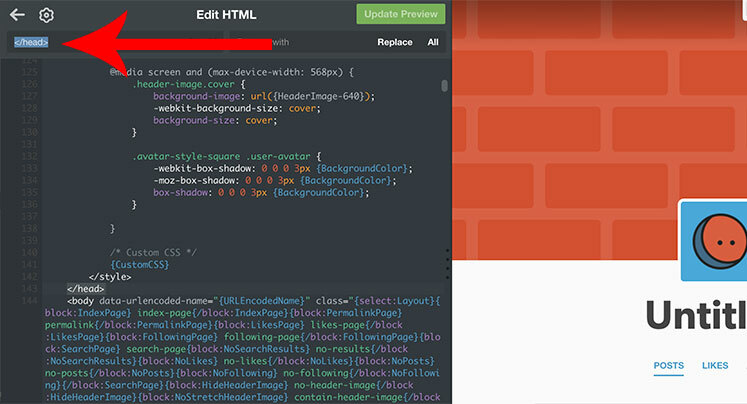 Then under the blog you want to add the Juicer feed for, click "Edit Appearance"
Then on the next page, click on "Edit Theme"
And then on the next page "Edit HTML"
(Feel free to copy and paste this part from here, the first two lines are the same for everyone). 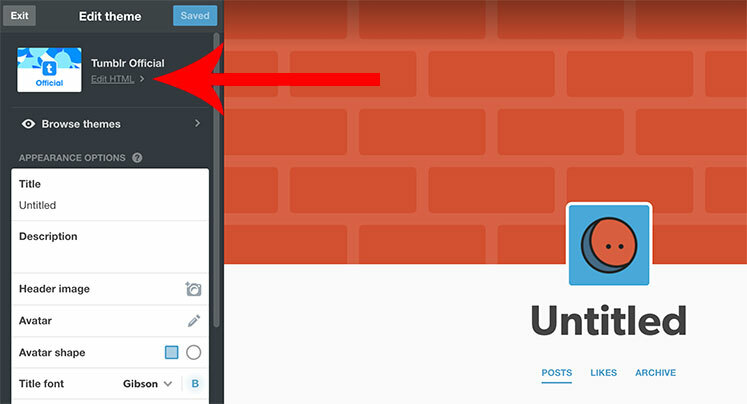 Then click "Update Preview" and then "Save" to keep this change. 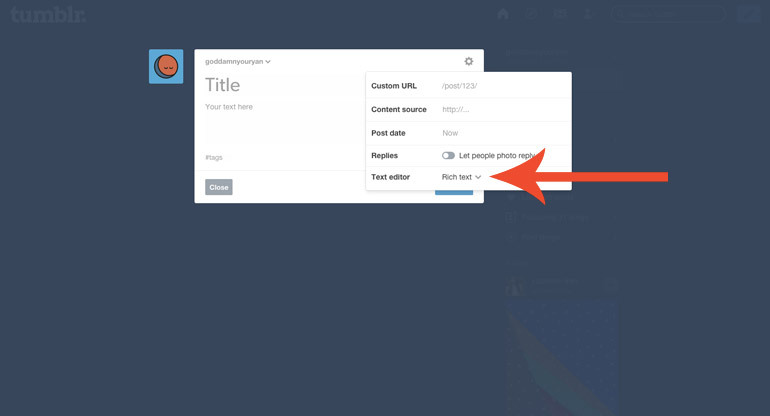 Then, go back to your Tumblr dashboard and click on New "Text Post"
Copy and paste the remaining part of your embed code, the <ul> into the post, and publish!